Apple’s iOS 12.1.3 update is causing problems for iPhone, iPad, and iPod touch owners and there’s a widespread issue that Apple needs to address ASAP. 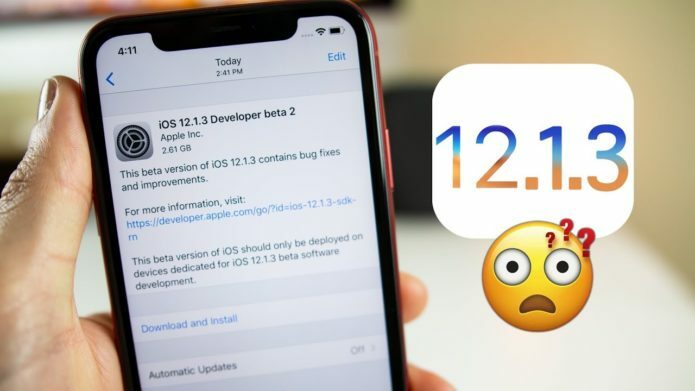 The iOS 12.1.3 update fixes several lingering iOS 12 bugs, but users are running into trouble with the latest version of the operating system. iPhone, iPad, and iPod touch users are seeing installation issues, abnormal battery drain, connectivity issues, and problems with Face ID and Touch ID. These are all common problems and most of them can be fixed in minutes.